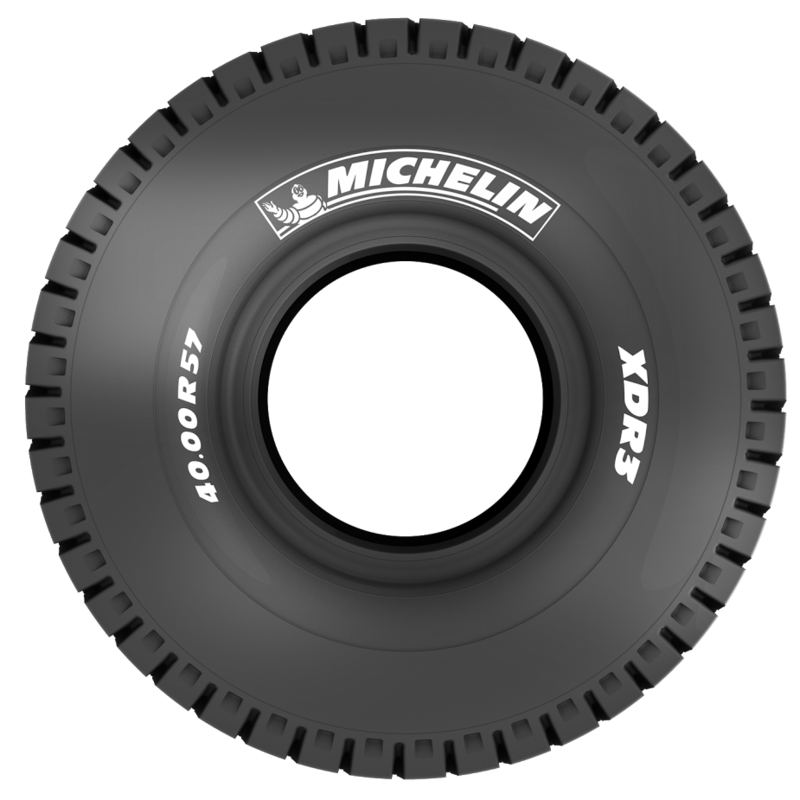 Dubai: The new 40.00 R 57 and 53/80 R 63 MICHELIN XDR3 tires have been designed for rigid dump trucks operating in surface mines. One of the main challenges facing mine operators today is to reduce the cost per ton by improving operational efficiency, while still ensuring safety for all within the workplace, and thus increasing profitability. The new MICHELIN XDR3 responds to the needs of mine operators by incorporating three key innovations, which together increase tire life by a minimum of 10 per cent compared to its predecessor, the MICHELIN XDR 2. Compared with its predecessor this new tread pattern offers multiple benefits. It offers better endurance due to improved heat dissipation capabilities – 8°C cooler in the tread area. A greater volume of tread rubber is in contact with the ground which improves wear and ensures better load distribution throughout the contact patch due to a lower contact pressure. Finally, interlocking shoulder blocks resist excessive movement during cornering and further reduce tire wear (see illustration below). The MICHELIN XDR3 is also MEMS1 ready. This means that it is possible to quickly and easily install state-of-the-art data sensors to capture and transmit temperature and pressure information in real time. Michelin, the leading tire company, is dedicated to enhancing its clients’ mobility, sustainably; designing and distributing the most suitable tires, services and solutions for its clients’ needs; providing digital services, maps and guides to help enrich trips and travels and make them unique experiences; and developing high-technology materials that serve the mobility industry. Headquartered in Clermont-Ferrand, France, Michelin is present in 170 countries, has 111,700 employees and operates 68 production facilities in 17 countries which together produced 184 million tires in 2015. Dubai is the regional headquarters for Michelin Africa, India & the Middle East (AIM).